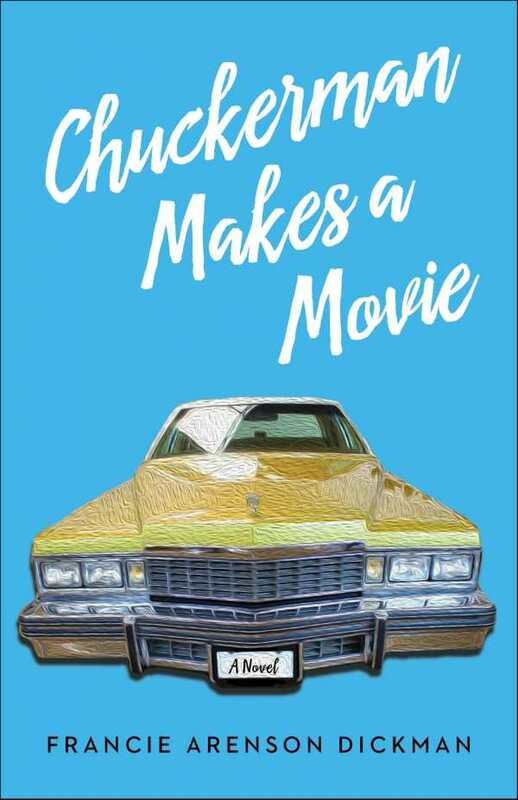 Art imitates life in Chuckerman Makes a Movie, a laughter-inducing novel of nostalgia and self-discovery. David Melman is a thirty-five-year-old celebrity branding genius with deep affection for his classic 1977 yellow Cadillac, which he inherited from his grandfather. His current love interest is a twentysomething pop star, but he feels conflicted about settling down. Everyone in his life, including his young niece and nephew, seems to think he’s hit rock bottom and needs to change. With a nudge from his sister Marcy, Melman enrolls in a film-writing class taught by Marcy’s boot-clad friend, Laurel, also known as “The Mormon Rodeo.” Laurel urges Melman to write about his heirloom Caddy. The project soon conjures recollections from a pivotal family vacation when he was ten, visiting his grandparents in Miami Beach. As romance ensues in the present day and classmates wager on Melman’s relationship with the instructor, his script progresses in a parallel fashion, with cautions of luck and love rising to the surface. Ultimately, Melman’s coming-of-age bildungsroman screenplay is the catalyst he needs to move forward in his own life. Narration seamlessly advances the twofold narrative. The screenplay functions as a story within a story, and vibrant characters infuse it with humor. In Melman’s memories, a grandpa throwing a punch warrants a comparison to Rocky Balboa, meatballs get flicked across a holiday dinner table, and Grandma’s ill-fated driving lesson takes bladders to the edge. A flirtatious character provides an added hook and sets tongues wagging at a poolside contest. Gossip, jealousy, and conflict are riotously compared to moments from classic literature with adolescents gone wild, though here it’s seen within the senior set at Melman’s grandparents’ home. Ultimately it is the strong, tested relationship between Melman’s grandparents that leads Melman through his own uncertainty to find common ground—and maybe a future—with Laurel. Thanks to Laurel’s classroom advice, remembered dialogue is given new life, becoming thought-provoking despite the quick-witted nature of the banter. Scenes from the present and the past balance well and flow together, probing the relationships of both an older and younger generation. Cultural elements bring texture to the story line, from the frequent use of “oy” to yogic rabbis. A Yom Kippur gathering is rich with vocabulary, details, and tradition. Characters maintain strong family bonds. While the men appear rooted in machismo, women characters, including Laurel and Melman’s sisters, showcase strong-willed independence. Prose is colorful and engaging—a realistic combination of humorous activity and tension-building drama.